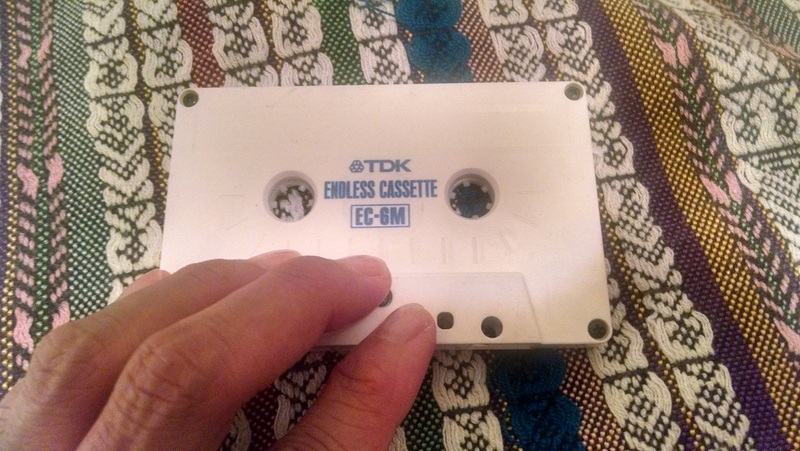 The piece is constructed by manipulating in live performances a cassette player and a TDK EC-6M 6 minute looping cassette tape. The cassette player is used during the performance to create feedback by indiscriminately pressing the player’s controls (record, stop, forward, rewind). These six minutes are a recombinant document of numerous live performances over the past several years where I recorded, re-recorded, and erased the sounds of audio tape feedback, myself and other musicians.